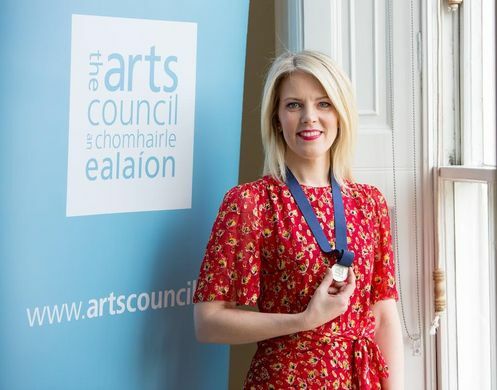 Irish author Sarah Crossan was announced as the fifth Laureate na nÓg, Ireland’s laureate for children’s literature. Sarah will hold the title from now until 2020. Sarah Crossan is a poet and novelist, best known for her books for young adults, including Apple and Rain and One, for which she has won several awards. Her theme as Laureate will be #WeAreThePoets, a two-year project inspiring young people to express themselves through poetry and verse. Sarah has a particular interest in working with marginalised communities. Under the #WeAreThePoets banner she will collaborate with a team of writers to deliver workshops, as well as a national event showcasing the young voices that have participated in her Laureate project. Laureate na nÓg is an exciting project recognising the role and importance of literature for children. It is an initiative of the Arts Council with the support of the Arts Council of Northern Ireland, Children’s Books Ireland, The Department of Children and Youth Affairs and Poetry Ireland. The honour has been established to engage young people with high quality literature and to underline the importance of children’s literature in our cultural and imaginative life. Sarah lived in Dublin until she was six years old when her family emigrated to the UK. After studying at The University of Warwick and The University of Cambridge, she worked as an English teacher for ten years, in both England and the United States, before becoming a full-time writer in 2012. Sarah’s novels The Weight of Water and Apple and Rain were shortlisted for the CILIP Carnegie Medal and the CBI Book of the Year Award. In 2016, Sarah’s verse novel One won the CILIP Carnegie Medal and CBI Book of the Year Award as well as The Bookseller YA Book Prize, the CLiPPA Poetry Award, and many other awards.